This entry was posted in Parish News on 27th March 2016 by AdminTJP. From 25th March for 6 Fridays — the mobile fish & chip van will be trading outside the Village Hall between midday and 1pm. 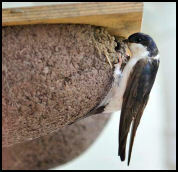 This entry was posted in Parish News on 19th March 2016 by AdminTJP. This entry was posted in EAG on 8th March 2016 by AdminTJP. The culprits, being particularly public spirited, off-loaded their debris on the council verges at points where farm vehicles need entry to fields. Other similarities are that both tips arrived during the hours of darkness and attempts had been made to burn the rubble. 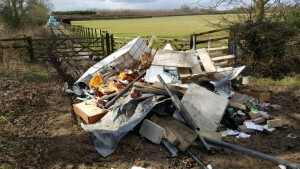 You can report fly tipping on public land if the waste is on the public highway or other land owned by the East Riding of Yorkshire Council, very easily by using their website. The Council will usually arrange for this waste to be removed within 48 working hours, although it may take longer should the waste consist of asbestos, clinical or other hazardous waste, as special arrangements may need to be made. It would be helpful if you could also report any fly tipping to the Clerk to the Parish Council so that it can monitor the situation. Where waste contains evidence, which helps identify the offender and/or where there are witness statements, the Council will seek to prosecute the offender. The maximum penalty for the offence of illegally tipping waste is currently £50,000 and/or a term of imprisonment. This entry was posted in Parish Council on 2nd March 2016 by AdminTJP.